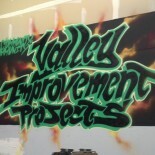 In 2012 a group of activists and community organizers from the Northern San Joaquin Valley came together under the name Valley Improvement Projects, or V.I.P., with the mission of improving the quality of life of underrepresented and marginalized residents of California’s Central Valley by advocating for social and environmental justice. V.I.P. opened the Community Center for Social & Environmental Justice in July 2013 in downtown Modesto to give people a place to meet, learn, and take united action. Unfortunately the Community Center had to close in September of 2014. In 2015 V.I.P. suffered the tragic loss of our Co-Founder and long-time community advocate Emiliano Mataka, Rest In Peace. Since then V.I.P has carried on, holding monthly meetings at the Modesto Peace/Life Center (every 2nd Friday of the month at 6pm), continuing to build our outreach and presence in the community, and still fighting for Social and Environmental Justice in Stanislaus County and the Central Valley! Disadvantaged and Vulnerable Communities: VIP strives to reach-out to the poor, working poor, communities of color, immigrants, Spanish-speakers, LGBTQ community, religious minorities, indigenous communities, youth, elders, people with disabilities, the homeless, and many others who carry extra burdens in our society. Youth Outreach and Education: VIP works to provide our local young people with productive recreational activities as well as socially and culturally relevant educational workshops and information. Representatives and Officials: VIP maintains contact with elected representatives and relevant agency officials and advocates for solutions to social and environmental justice issues on behalf of our disadvantaged communities. Regional and Statewide Coalitions: VIP is a proud member of the California Environmental Justice Coalition (CEJC), Central Valley Air Quality Coalition (CVAQ), Stanislaus Sustainable Communities Coalition (SSCC), Central California Environmental Justice Network (CCEJN), and California Cleaner Freight Coalition (CCFC). Finally, a group in the Modesto area doing good environmental/social justice work. Can’t wait to work with you peeps! Grand opening was great, you peeps are amazingly dedicated and united. It’s about time to change the bad ol’ boys way of thinking in the Valley.